Das Programm des heutigen Tages sollte zwei Open Days berücksichtigen. 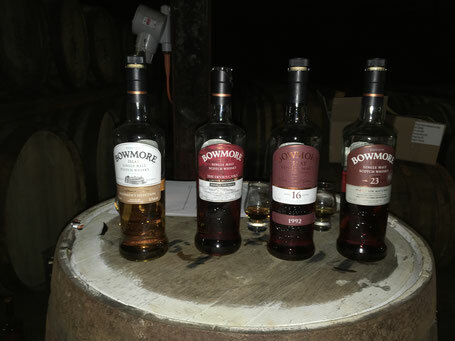 Zum einen den traditionellen Bowmore Open Day und dann auch noch den Feiertag von Islay Ales, die in den vergangenen Jahren selten vom Wetter verwöhnt waren. 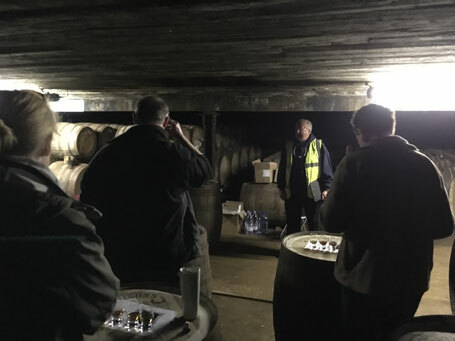 Todays planning was intended to respect two different Open Days: the traditional Bowmore Open Day as well as the Islay Ales party, who were indulged rarely by weather in the last years. Welch ein Titel und wir waren auch sehr gespannt. Quer durch die Distillery ins Warehouse 1e, ein Tasting zusammen mit Eddie MacAffer. Das Urgestein der Destille geht nach 50 Jahren in diesem Jahr noch in Rente. What a headline - so we were quite excited. Across the distillery straight to warehouse 1E, we had a tasting with Eddie MacAffer. 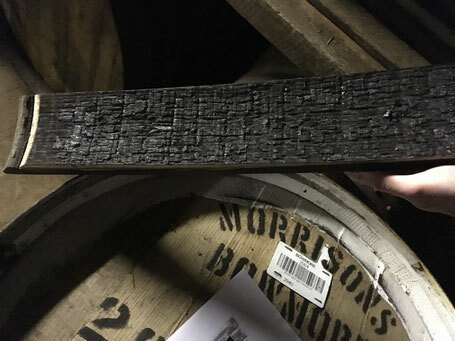 This distillery institution is going to retire this year after 50 years of work. Somit war das für uns noch mal eine gute Gelegenheit, aus seinem riesigen Erfahrungsschatz einige Gescichten zu hören. Kein Fass in diesem Warehouse, was er nicht kannte. Therefore it was a final chance for us to listen to some stories from his rich experience in his very own words. No cask in this warehouse that he won't know. A courtyard party first at Bowmore, later then at Islay Ales with great music, culinary booths and if there hadn't been that tiny little cloud in the radiant blue skies, it would have been the perfect day.